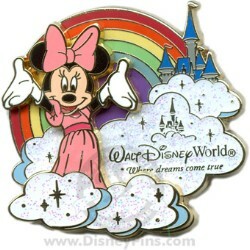 This colorful pin collection features Cinderella Castle in sparkling clouds with a Rainbow Pin overhead. 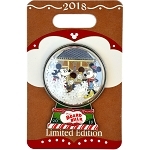 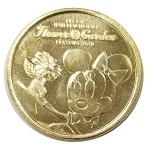 This Limited Edition pin features Minnie Mouse. 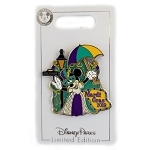 There are five (5) pins in this collection.